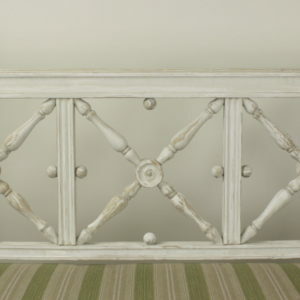 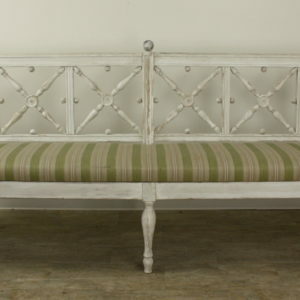 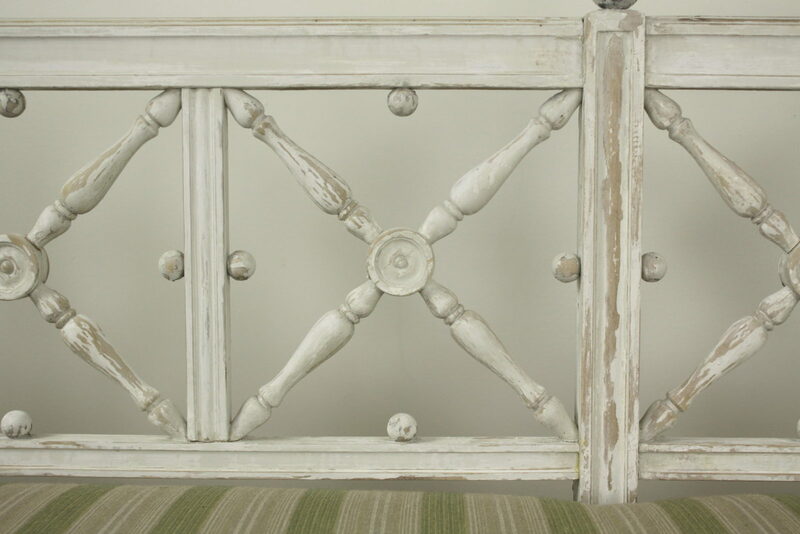 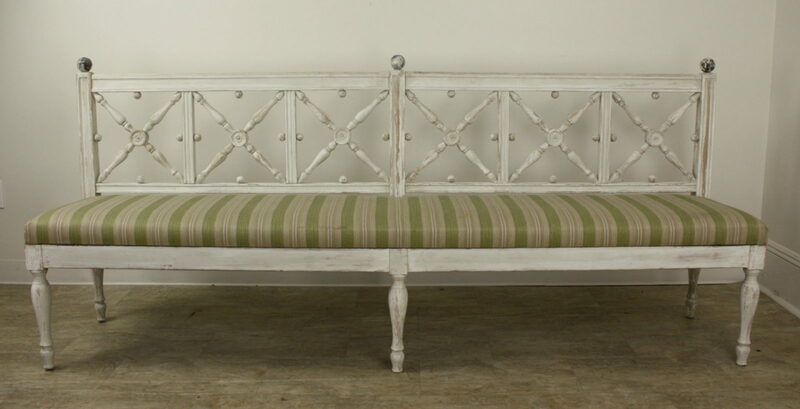 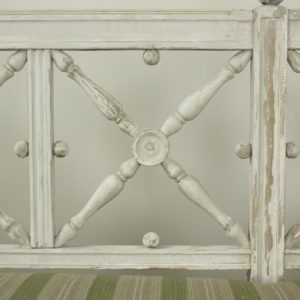 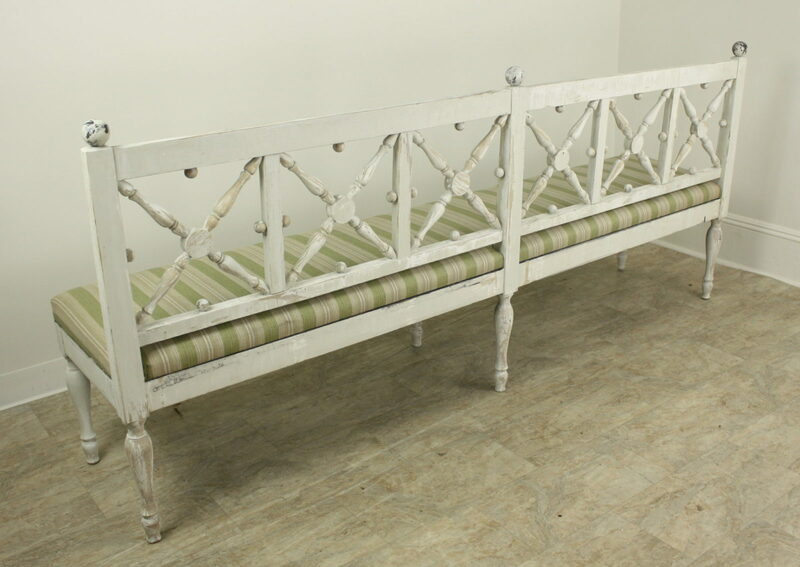 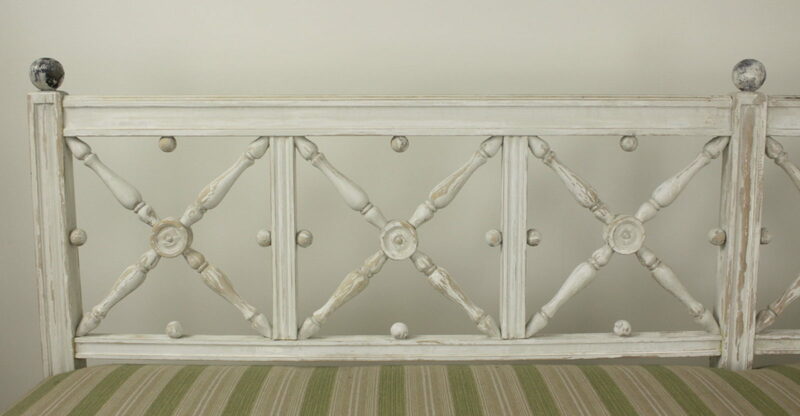 A stunning seven foot long Gustavian bench, very decorative with rubbed-back old paint. 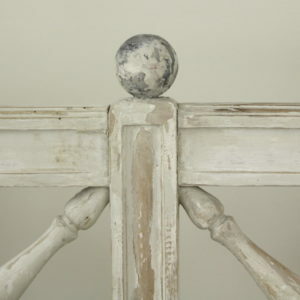 The “X” spindle pattern across the back, and the ball finials across the top, with smaller round carved balls within the square spindle frames, make a unique, beautiful and dramatic look. 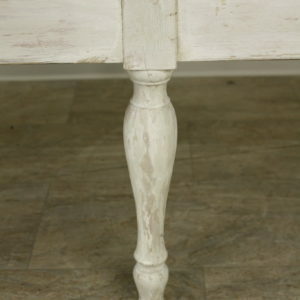 The six legs are very nicely shaped. 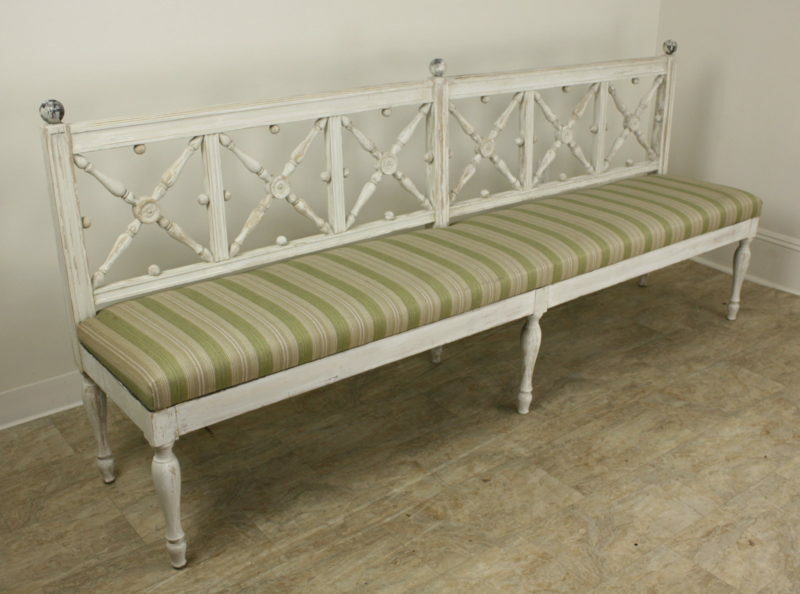 Would be superb in an entry or a long hall. 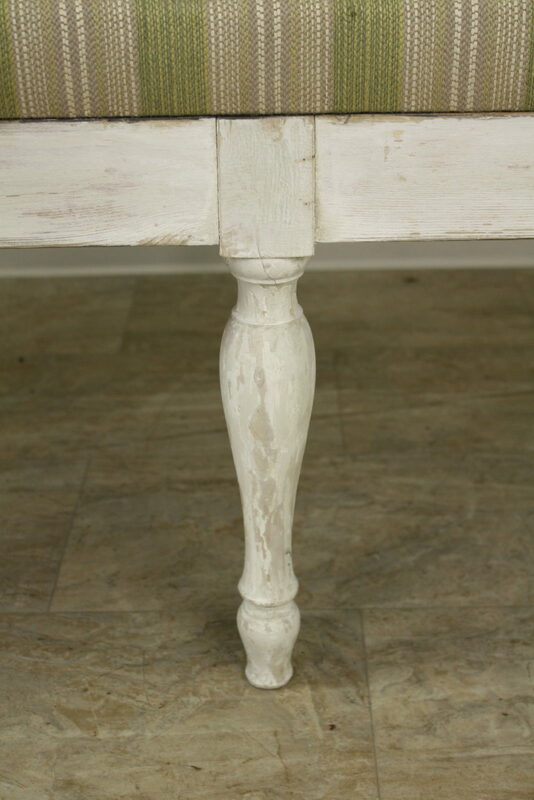 Seat height is an excellent 18″, comfortable for sitting.